This section contains information and resources that teachers can use in the classroom to help introduce the topic of animal research. 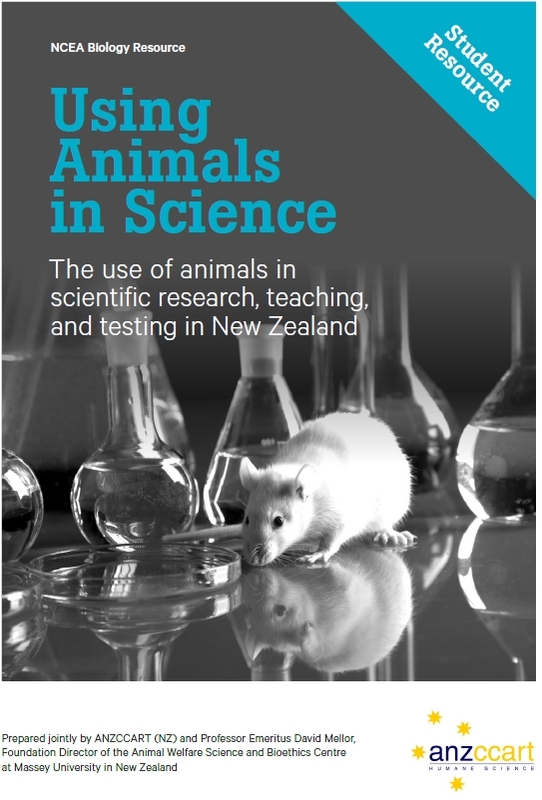 For more information on applying for animal ethics for a teaching activity or a science project please see the “Animal ethics in NZ schools” section of this website. These teaching resources are not available on-line, but can be sent to teachers upon request (contact ANZCCART NZ). A student resource to accompany these tasks, Using Animals in Science: Student Resource, is available to download here. 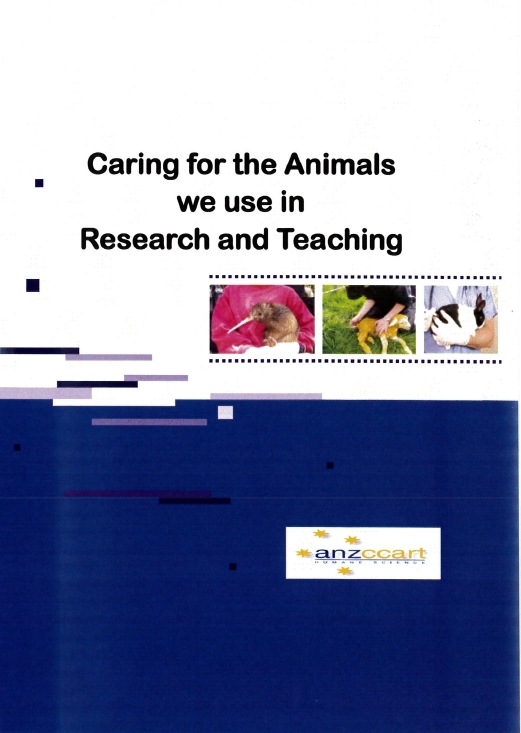 ANZCCART has produced a resource called “Caring for the animals we use in research and teaching”. 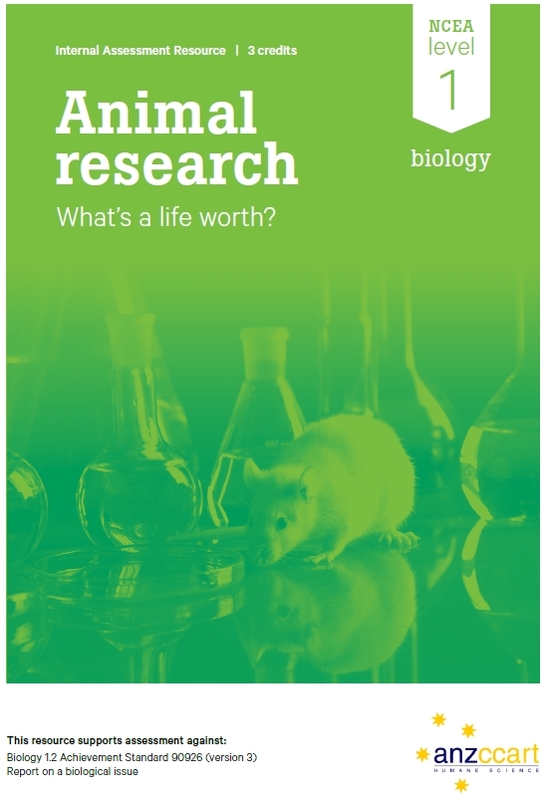 The centrepiece of this resource is a DVD which provides a series of interviews with scientists who use animals in their research. 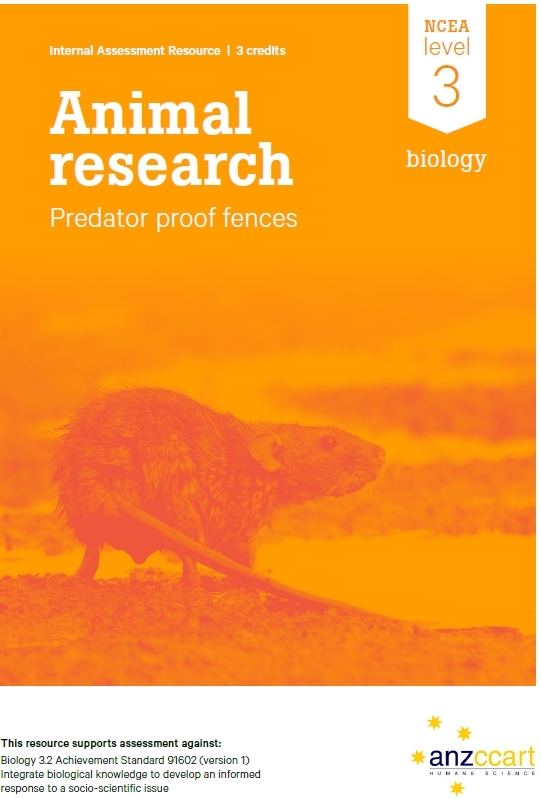 This DVD is an excellent resource for generating class discussion and debate around the use of animals in research and teaching. legislation governing the use of animals in research and teaching (presented by Professor Don Love and Dr Sally Birdsall). The video clips from the DVD can be downloaded by teachers from the following web link. A password will be required and will be available upon request to teachers (contact ANZCCART NZ). A compilation of interviews on these topics, narrated by Dr Jessie Jacobsen, the 2007 MacDiarmid Young Scientist of the Year (now called the Prime Minister’s MacDiarmid Emerging Scientist of the year), is also available. A set of activities has been developed to accompany each of the interviews for Years 9-10 students. They are designed to encourage discussion about the ways in which animals are used in research, as well as having a literacy focus. Each set of activities has links to the Nature of Science strand and to relevant contextual strands in the revised New Zealand school curriculum together with suggested ways of developing relevant key competencies. If you would like a copy of the DVD, please contact ANZCCART NZ.